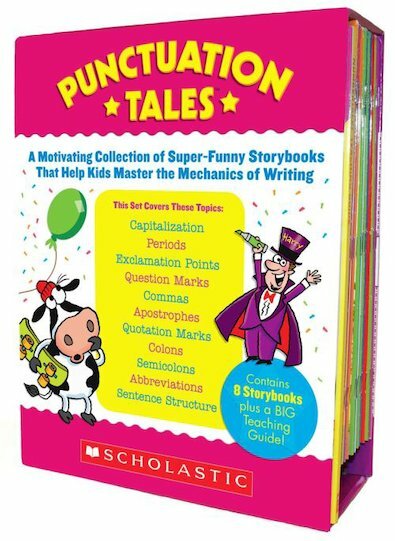 Mastering tricky mechanics is a snap with these humorous storybooks that teach kids everything they need to know about capitalization, exclamation points, question marks, commas, apostrophes, quotation marks, colons, abbreviations, and more! Includes a BIG teaching guide filled with lessons, engaging worksheets, and mini-book versions of all eight storybooks! 8. Super Sentence Girl (sentence structure) For use with Grades 2-5.